You can now hear Natalie's music on CFCR 90.5 FM. 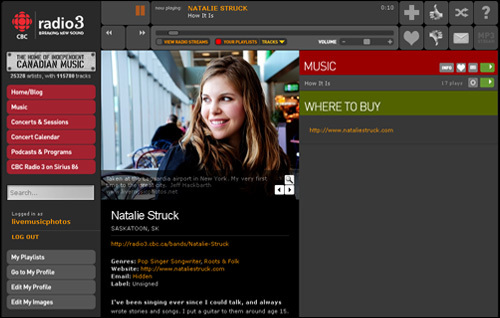 Natalie is currently featured on CBC Radio 3. Click the image below to visit her musician page. 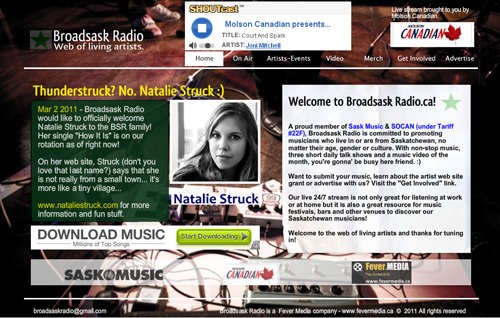 Natalie was also the featured musician on the front page of Broadsask Radio on March 2, 2011. "How It Is" is currently on their music rotation.